Ever since I visited Marrakech last spring and tasted authentic Moroccan tea made with 45 different spices, I've been searching high and low for a tea that at least partly resembles the sweet mint tea brewed within Old Medina. A year later and my search may have finally found a suitable replacement. 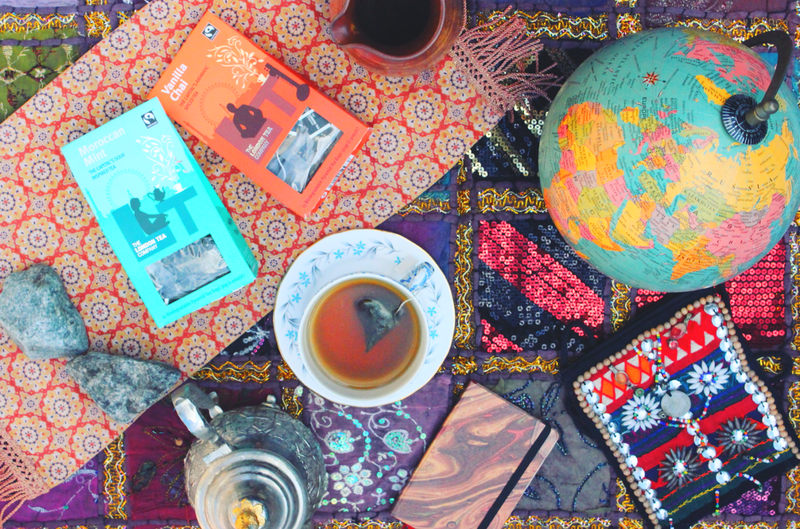 Now, nothing will live up to the real thing brewed fresh by the locals of Marrakech, but The London Tea Company's Moroccan Mint sure comes close; in fact, it's the best I've tasted so far! Let's just say I've tasted a lot of mint teas the past year in the desperate hope of reliving the sweet, minty taste. I'm so happy that my search is finally over meaning I can relax and enjoy the most delicious mint tea. The London Tea Company is a fresh, new brand on the block that stock the most incredible variety of teas that a tea addict like myself could only dream of! From a daring chilli chocolate blend to an enticing peach & rhubarb flavour, The London Tea Company have a blend to suit any and every taste. Have you tried any of their brews before? Oh I love trying out new teas, the mint one definitely sounds interesting. But I really wanna try the peach and rhubarb one. I haven't tried their teas before, but they do sound delicious - I also now want to go to Marrakech and try their tea!